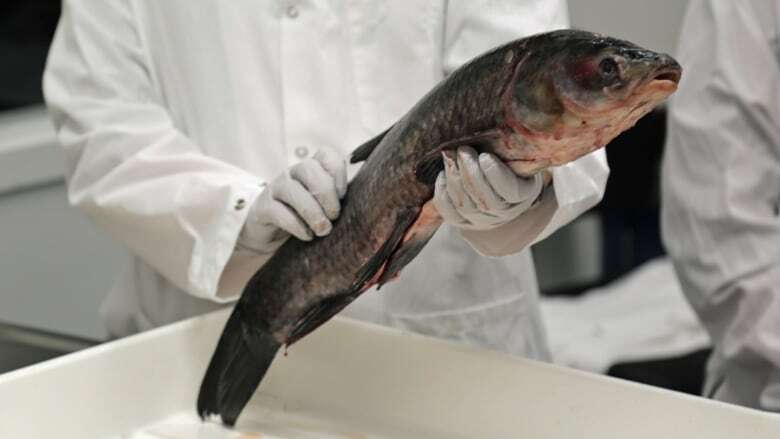 The federal government is putting $20 million over the next five years into fighting the threat of invasive Asian carp in the Great Lakes. The money will triple the size of the team researching the threat and allow the federal government to significantly increase its monitoring of the places around the lakes most at risk. 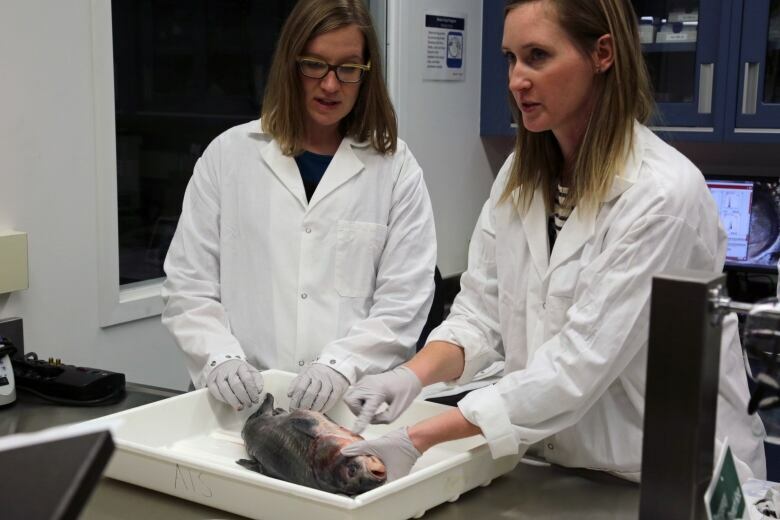 Burlington MP Karina Gould made the announcement Tuesday at the Canadian Centre for Inland Waters, home to an Asian carp lab established in 2014. Gould said the lab is "really the leaders in Canada that does this research, in terms of monitoring and in terms of protecting our waterways. "So it's really critical that this funding is here because these are the scientists that are working on this issue." The funding translates to a large increase in people to fight the threat. 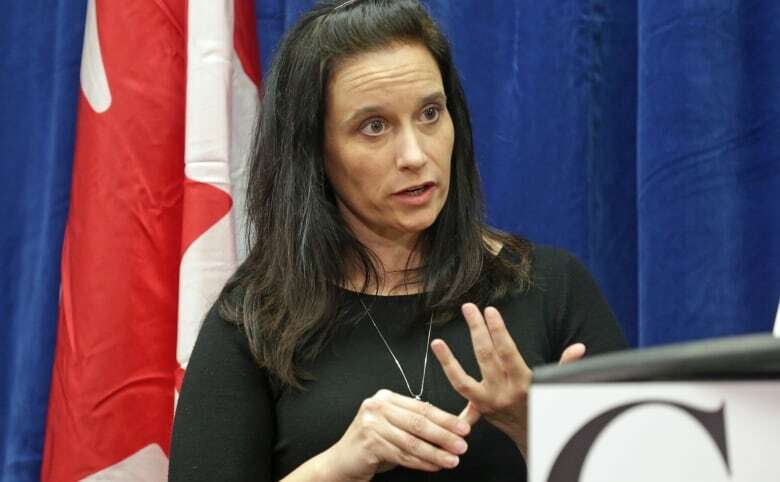 The program will grow from three permanent staff to 10, said Becky Cudmore, a scientist who heads the Asian carp program for Fisheries and Oceans Canada. "That will allow us to do a lot more work on conducting early detection surveillance around the Great Lakes," Cudmore said. "Going out there and making sure that we find the fish as early as possible and if they're there, we get them out." While the program has identified 54 high-risk areas for Asian carp around the Canadian side of the Great Lakes, the program has up until now been able to visit just 36 of them. "You can imagine that the Great Lakes are fairly huge and we really need to target where we're going to look for them," Cudmore said. As well as the risk assessment and surveillance, the funding will help do more outreach to commercial fishers, anglers and cottage owners to keep an eye out for the invasive species. Some of the fish have been brought to Canada for food, others for pond-cleaning at golf courses and farms. The four species of Asian carp have established themselves in the Mississippi River basin in the U.S.
Once they're established, the bully species competes with and dominates native species looking for food and places to spawn. 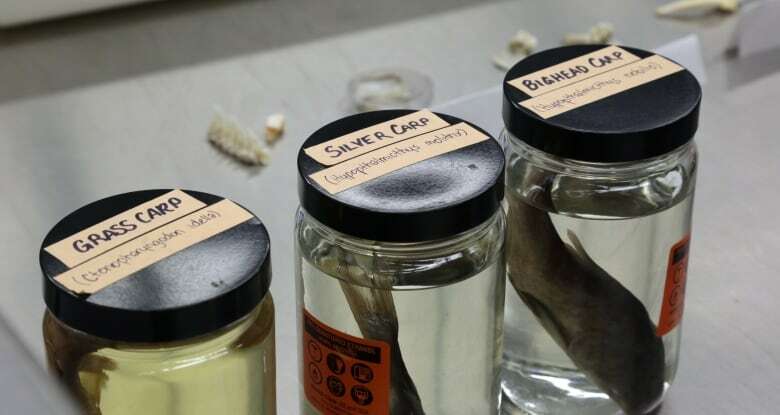 The Burlington lab, which Cudmore runs, hunts the carp, takes samples, dissects, ships eyeballs and other pieces here and there, trying to figure out the fish's fertility and how it got to Canada. The team works closely with U.S. counterparts and representatives from eight states and the province of Ontario, in the fight against the overbearing fish. "The fish don't understand these boundaries we draw on maps; they seem to ignore those for some reason," said Dale Nicholson, regional director general for Fisheries and Oceans Canada. The release of an American report detailing a plan to fight Asian carp by the U.S. Army Corps of Engineers was delayed by the Trump administration for six months last year. And the president's budget proposal for environmental protection in 2017 slashed a Great Lakes restoration project by 97 per cent. Congress rejected that proposal. Gould did not comment on any impact of the political situation in the U.S., saying only that the two countries enjoy a "continued collaboration and recognition that this is important for the health of the Great Lakes, whether they're on the Canadian or the American side."